This recipe will teach you how to make a chef-standard risotto. This hearty, seasonally risotto is a perfect autumn comfort food! An excellent dish for a dinner party or to make for family and friends. This simple recipe is delicious and hearty, making it a great option for dinners for the upcoming cold weather. This recipe also pairs very well with wine and can easily be made in larger batches for large dinners. This quick and easy one-pot chicken stir fry is a great dish to meal prep or to feed the family. This recipe uses asian ingredients and cooking technique bringing out a lot of delicious flavours. This is a also a inexpensive dish costing approximatly £1.10 per portion. Ragù alla bolognese also known as bolognese sauce is a meat-based sauce originating from Bologna in the region of Emila-Romagna. 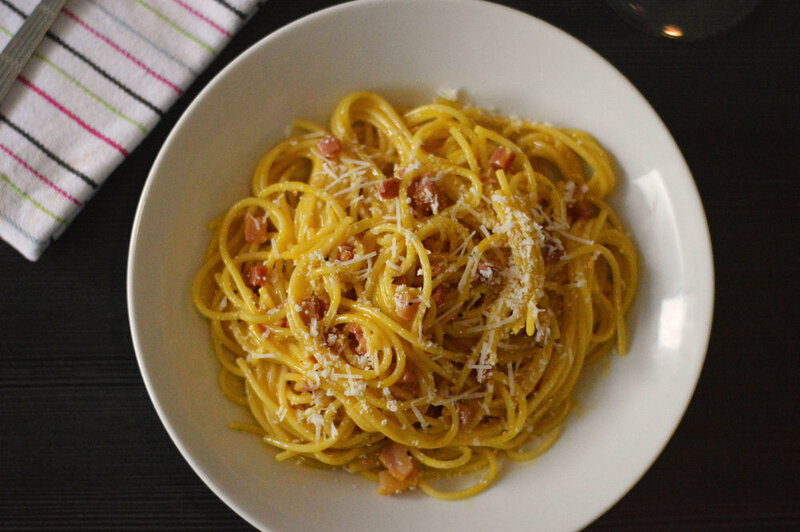 In 1982 the Academia Italiana della Cucina officially registered the recipe with the Bologna Chamber of Commerce. The registered recipe states that Bolognese sauce must contain onions, celery, carrots, pancetta, ground beef, tomatoes, milk and white wine. 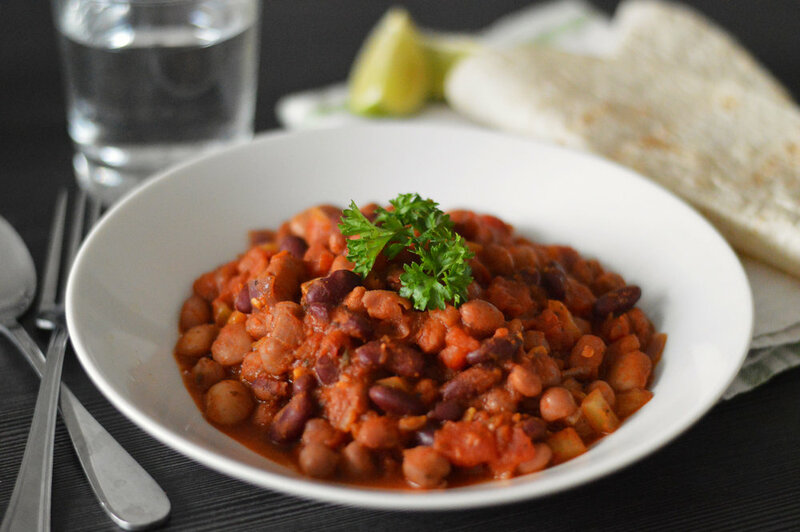 This vegan bean chilli recipe plays with Mexican flavours to create a warm bowl of aromatic, smokey and flavourism bowl of chilli. This simple lentil soup recipe is hearty, vegan and gluten free! This tasty soup can be ready and on your table within 1 hour making it a great soup to keep in your arsenal of recipes. This simple yet impressive pumpkin soup makes for a great starter or light supper. Its sweet & hearty with a smooth texture. Eat with a side of fresh bread for a more wholesome meal or try with a sprinkle of croutons on top. This soup is high in vitamins A & C and is also vegan! Our pesto pasta recipe is perfect for when you are in a rush. Its simple yet delicious. Its quick enough for a midweek treat whilst also healthy enough for a family meal. Its low in saturated fats and high in vitamins. You can vary the flavour of the pesto in the recipe and will still end up with a great result. This no fuss chicken stir-fry recipe is a super quick lunch or dinner, which can be made by only using one-pot. This delicious chicken recipe is also packed with flavour and is also healthy for you. Who knew you could make vegan crêpes taste so good? This alternative crêpe recipe uses almond milk adding a slightly sweet and nutty flavour to your crêpes. A perfect alternative to our French crêpes. This Indian styled potato and chickpea curry is incredibly easy to make and is also vegan and gluten free! We use Indian spices to make this dish very flavoursome and aromatic. The potatoes and chickpeas make a fulfilling base making this curry a very desirable lunch or dinner choice.